It’s the military way. You rush to prepare the logistics for your mission and then, well, you wait for the action. You fill out your paperwork and then you realize that your move to another station has been delayed. You hurry to prepare for your deployment to a combat zone. Then wait for your return trip home that can be rescheduled for another wait. Whoever says that patience is a virtue, has never served in the military. 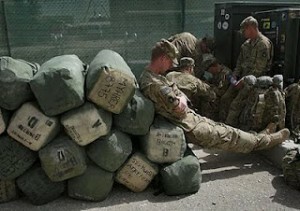 Our military members hurry up and wait everyday. Worse yet, you could be hurried to a hospital with a life threatening injury and made to wait for months for the disability payments you need to care for your family. These are all real scenarios that are occuring for our military personnel everyday. For those that return with life-altering wounds such as limb loss; Traumatic Brain Injury; the effects of toxic chemical exposure; Post-Traumatic Stress Disorder; and other injuries- They find that they are left fighting and waiting for treatments. Here’s where we identify with hurrying up just to wait a bit longer. Our project and mission are huge. It takes momentum to move towards completion and yet in our spirits, we here at Wounded Warriors – Sons & Daughters of America believe that that both the hurrying up and the waiting are an important part of establishing the Wounded Warriors Restoration Center. We are not static in our waiting. We are writing grants; talking with organizations; networking; getting the word out locally and nationally; connecting with locals and preparing programming. Our waiting will not be in vain. Those families that are waiting to attend the Wounded Warriors Restoration Center will be blessed by all the efforts of our staff, volunteers, and the many organizations and private donors that have chosen to support this vital work. Help us to hurry up by donating towards this worthy cause! Thanks for your prayers and support! Just what is a Machesah Healing Room? Take a deep breath and imagine with me for a moment. Imagine a room that is devoid of any irritations or stressors. Imagine a healing space that is designed for calming and to stimulate the central nervous system to help reverse the effects of trauma. Imagine entering this area and feeling almost as if you were in the womb- safe and protected. The Snoezelen Multi-Sensory Environment space is colorful and explores all of the senses, allowing the brain and central nervous system to deeply relax and heal. The meaning of “Machesah” is simply a safe haven. Our executive director, Devorah England discovered this concept and technology while travelling in Israel. She spent some time at the Shiloh Therapy Center in Shiloh. This center is dedicated to helping families, children, and soldiers to have the resources they need to heal from PTSD and other wounds of terrorist attacks and wartime stressors. When Devorah entered the Machesah healing room in Shiloh, she felt as if she immediately transcended the worries, concerns, and stressors of the day. She was able experience the gentle music, swaying colors, and healing visual stimuli and activities and allowed her brain and body to decompress. She heard the stories of people whose lives had been changed by their time there. Her vision as executive director of Wounded Warriors – Sons and Daughters of America is that the Wounded Warrior Restoration Center would use this same technology to be a part of the healing therapies offered to help restore families and save the lives of wounded warriors. This therapy has proven to be especially helpful for combat wounded who are dealing with PTSD and TBI. The technology used in the Machesah room was invented by two Dutch scientists nearly twenty years ago. Their research led them to discover that a multi-sensory environment allows for a complete rewiring of brain circuits in brain-injured and brain-traumatized patients. They also found that it heightens relaxation and creates a deep sense of grounding in those who do not live with the symptoms of trauma. 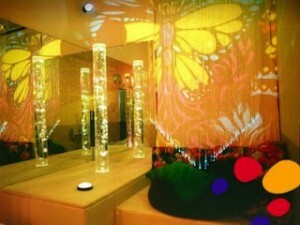 Click here to find out more about the Snoezelen Multi-Sensory Environment. Wounded Warriors – Sons & Daughters of America is currently in process to secure a Snoezelen system and training via grants and fundraising. 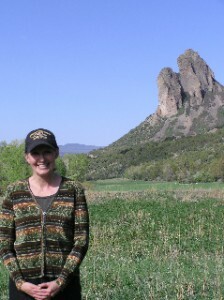 Needle Rock, Crawford, CO. This beautiful landmark is visible from most guest rooms at the Wounded Warrior Restoration Center. Local legend tells us that this rock outcropping was venerated as a place of healing by the Native Americans who migrated through these lands in days long gone. How appropriate it is that a Restoration Center be established in the shadow of this long-time place of healing. Donate today and contact us with your ideas and thoughts on how to make this vision to serve wounded warriors and their families a reality! A big part of our vision at the Wounded Warriors Restoration Center is the idea that there is no such thing as a one-size-fits-all treatment method. A recent article from the Army Times expounds upon this philosophy and shows research that demonstrates this truth. 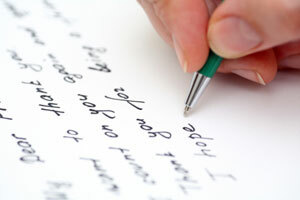 Click here to read this great article. 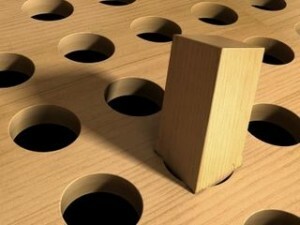 The reason we will strive to offer so many varied treatments is because not everything works for everybody. Retreat atmosphere allowing for camaraderie and the power of shared experiences. Green therapies encouraging a connection back to the land and simple truths that enhance self-awareness. Outdoor Adventures and Trust-Building Scenarios. Animal Therapies: Equine therapy and Farm Animals. Physical Conditioning and Stress Reduction Strategies. Click here to see the article online at the Delta County Independent News site. We appreciate the time and energy spent by local journalist, Kathy Browning, in the piecing together of this great article. Many locals are responding with much excitement to this article and the implications that the Wounded Warriors Restoration Center will have for the local economy. Many see and understand the far-reaching effects of the healing that will be sown into generations of families that have been wounded by the terrible effects of war. Over 600,000 veterans who served in Iraq and Afghanistan since 2001 have been diagnosed with PTSD, post-traumatic stress disorder. Her husband, Rod England who passed away in 2010 from cancer, and Debbie founded Wounded Warriors Americas Sons and Daughters in 2004. Their oldest son, Robert, was hit by an IED in 2004. So, in October 2004 they established their organization. The result was a backlog in cases. 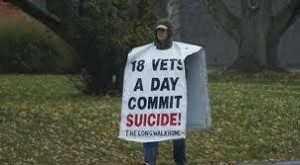 So vets went from receiving disability within six months of being discharged to almost three years. Today it’s almost four to five years. Devorah's passionate and spirit-filled leadership style has been a huge catalyst as we work towards the goal of serving wounded combat veterans and their families at the Wounded Warrior Restoration Center. Wounded Warriors SAD focused earlier on helping vets financially. 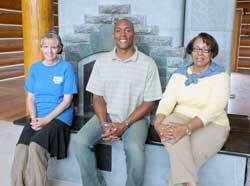 “We started doing fundraisers to help them pay mortgages, car payments, food. We even in the past sent money for people to go to job interviews. We purchased special equipment like shoes that the VA didn’t cover,” England said. She has studied and researched PTSD treatments. In Israel, where both the military and civilian population live with the threat of attacks all the time, their rate of PTSD for the entire population is just five percent. For just the military population in the U.S., it’s 90 percent. “I realized the big issue was the way [Israel] treats their PTSD contrary to how we treat PTSD in the United States. They have trauma centers. They also have healing rooms which soothe and de-sensitize their emotions back to a normal state,” England said. One of the treatments that will be available at the Restoration Center in Crawford will be Dr. Chris Kaufmann’s Synchronicity wave system. It runs on frequencies of light and colors, and is good with traumatic head injuries. The diet at the center will consist of 85 percent fresh and raw, including juices, and the other is 15 percent protein. That is the diet that is recommended for PTSD. A raw chef will be on staff to prepare meals. A health professional and a certified counselor will also be on staff. The vets will see deer, wild turkeys and farm animals like goats and chickens on the property. There will be horses for equine therapy. “We’re looking at making this a self-sustainable ranch where we will grow our own food and work with animals. We want to give them an opportunity to get outdoors in a different area where there is peace and quiet, and a chance for them to relax,” Evans said. Pictured left to right: Devorah England, WW - SAD Executive Director, Kalvin Evans, Wounded Warriors Restoration Center Program Director, Carolyn Ramey-Kennedy, Nursing/Medical Support Staff are excited about the many opportunities that will be available to help change lives for the better. “A lot of times when they come back they’re thrust into a situation where their de-briefing is maybe a few days. Maybe, if they are lucky! Then they are told to go on and live their lives without the proper tools . . . We want to help them in their healing journey. 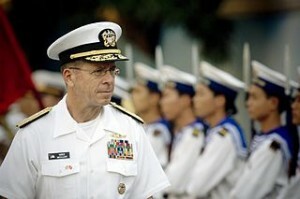 Not just for the soldiers but for their families as well,” Evans said. His father had PTSD from the Vietnam War. Carolyn Ramey-Kennedy is also on staff and is Kalvin’s mother. She has been nursing since 1971. She was going to be an RN, but her husband wanted her to be a nursing home administrator. She did that for 10 years. Her last nursing home had 100 beds with 100 employees and contractors. She has worked in emergency rooms and hospitals. Because of her wide experience, she can wear many hats at the Restoration Center. She does have her license in nursing. Sgt. Daniel Carpenter was a combat medic, non-commissioned officer. He permanently came out of the military in 2009. He has severe PTSD from being a ground medic. He had a head injury and degeneration in his lower back. At the Restoration Center he will be a peer mentor. “I can tell the guys all the things the lodge is going to offer for them, the treatments, the different therapies. I’m saying that from the perspective of one of them, a veteran. Because I have been there and done the same things they’ve done,” Sgt. Carpenter said. The closing date for the Crawford property is July 16. With the lodge are two staff houses which are solar powered. The lodge is surrounded by 94 acres of beautiful land under the watchful eye of Needle Rock. England said from local historians she has learned Needle Rock was a gathering place for Ute Indians who called it a place of healing. They hope to be ready by late August and September to begin helping veterans start their healing journey. For more information, visit www.americaswounded.org. You can help by being a fundraiser event sponsor, by volunteering at the Restoration Center or at fundraising events or by monetary donations. Former Chairman of the Joint Chiefs of Staff, Admiral Mullen, was featured in an interview two weeks ago that expresses the great need for healing efforts for wounded combat veterans and their families. Admiral Mullen shared from his heart about the depth of this problem and its effect on families and the shocking suicide rates that are coming about as a side effect of our nation being in a state of continual war. “If I’m a 5-year-old boy or girl in the family of one of these deploying units for the army whose average deployment was 12 months at a time, and my dad or mom – but mostly my dad – has deployed at this pace, I’m now fifteen or sixteen years old, and my dad has been gone three, four or five times. And my whole conscious life, from the time when I was five and I started to figure out that there was something out there, my whole conscious life has been at war. The United States has never, never experienced that before. And we see incredible stresses on families. 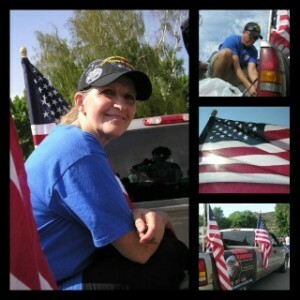 This is why we are doing what we do here at Wounded Warriors – Sons & Daughters of America. Our work at the Wounded Warrior Restoration Center will offer hope, traction, a sense of belonging. Join us by donating or contact us to help with the fund-raising and programming efforts. 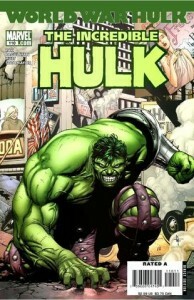 We've been told that a good way to understand the experience of PTSD is the analogy of "The Incredible Hulk". Suddenly, without your permission, you are transformed into someone you don't want to be. Daniel Carpenter, a distinguished member of our board, shared a bit of the story of his own personal struggles with PTSD and other combat injuries just a few months ago. We’ve been so busy working on getting this project up and running that we haven’t taken the time to share his compelling experiences. It’s time to get the word out on what PTSD does on a personal level in our combat wounded veterans. This blog and part two of the same will open your eyes to the reality that hundreds of thousands of combat veterans wrestle with every day. His story is just one of millions that could be told about the horrors of PTSD and other injuries and how they wreak havoc in lives. Daniel is well on the way toward healing and is planning to support the healing of others, like him, who feel like the “Incredible Hulk.” He feels that his work with WW-SAD will give him the chance to give back to others who are just beginning their healing journey. Here are a few things to give you some understanding of what Daniel means. In the next Incredible Hulk blog, we’ll tell about Daniel’s overwhelming and distressing experience with PTSD by sharing excerpts of our interview. As always, stay tuned! Daniel sent me this clip to help me understand a little of what PTSD is like: Click here to view. If you’ve never seen this movie, you should be aware that powerful rage overtakes Dr. David Banister and despite his best efforts to control this rage that it turns him into a different person. He always seems to hurt the ones that he loves. This is the daily and very real struggle that many of our servicemen and servicewomen returning from the conflicts all over the globe experience daily. This inability to control oneself affects their relationships, families, careers- basically it tends to wreak havoc in every possible social sphere. Check out the next in this series next week when we delve into Daniel’s personal and heartbreaking story. Join us in realizing that there is much to be done to confront this problem and to give our wounded combat veterans the fighting chance to enjoy life with their families. Donate now and become a part of that change! A Blessed 4th of July! We hope that you all had as much fun celebrating the many freedoms that we still enjoy here in the United States of America as we did. Devorah, Daniel Carpenter and their families joined the 4th of July parade which is a cornerstone of the Cherry Days Festival held annually in Paonia, CO. It was so great to enjoy the parade, meet people and be engulfed in the overwhelming positive support coming from the community for the project. Here’s a look at some of the highlights of the day! 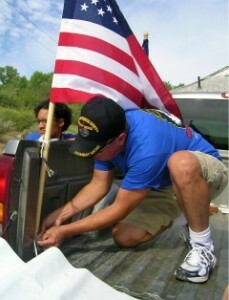 Daniel Carpenter, our honorable wounded warrior, helping get our float set up. Thanks for your service, Daniel! Thank you, Devorah, for the faith to keep us all moving forward in pursuit of our big vision. The mailbags aren't full yet, but we are encouraged when we hear from each of you. Thanks so much for this heartfelt letter. It keeps us moving forward in pursuit of our vision to save lives and facilitate healing for our wounded military and their families. Just now I discovered your website and have been gratified to read about your fund-raising efforts to create a healing retreat for Wounded Warriors. Your stories are very touching and inspirational; I write to congratulate you on your vision and wish you success in this sacred project. I regret that I am not in a position to help you financially; all I can send you at this point are prayers and hope. As we know all too well, there are many wounded warriors among us. I am married to one. Stephen returned from Vietnam with a severed thumb, Purple Heart and a case of PTSD that was only diagnosed a couple years ago. We are fortunate that he received good counsel which enabled him to jump through the VA hurdles, obtaining a 100% disability rating. Many others are not so lucky. The VA hospitals provide much needed medical care, but seem to have little to offer in the way of treatment for PTSD, which is why centers like the one you are trying to put in place are so needed and important. When – not if – your retreat center is built, we would love to come and see it. Although we live in Minnesota, we have family in Colorado and visit as frequently as possible. If you have an e-mail or snail mail list, I would appreciate it if you would please put us on it and keep us informed of your progress. Wishing you success in your mission and sending gratitude for all that you’re doing. Copyright © 2009-2012 Americas Wounded. All Rights Reserved. Website design by Merge2media.